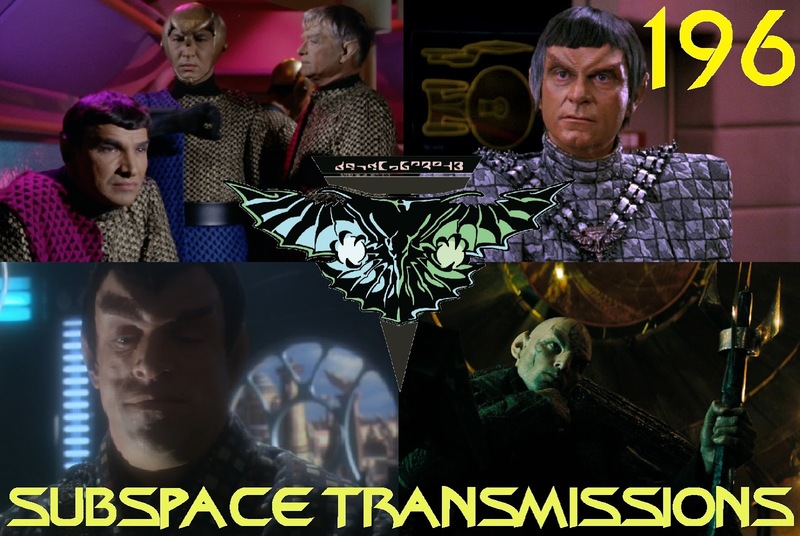 While probably not one of TOS's best hours, season 2's Patterns of Force is unforgettable for its contrasting of Roddenberry's colorful utopia against grim WWII Nazi imagery. Iconic visuals aside, however, there was plenty of room for improvement in 1998 when Voyager took a second shot at exploiting these clashing aesthetics with The Killing Game, the two-part Hirogen saga wherein Janeway and company find themselves trapped in a simulated Germany-occupied France. But was this revisit to familiar ground effective? 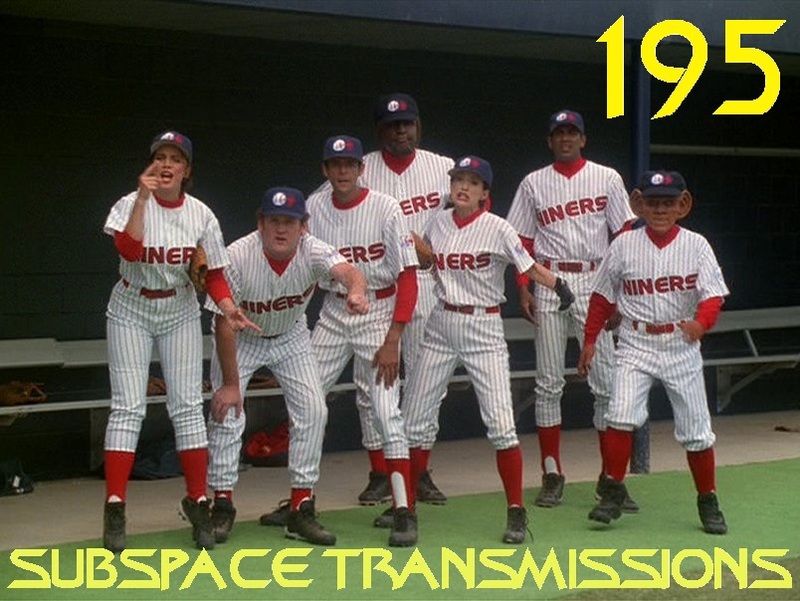 This week hosts Cam Smith and Tyler Orton, along with special guest Tony G. of the Arniegeddon podcast, sign up for the resistance while reviewing arguably the most ambitious holodeck adventure of all time! Undeniably popular with fans, does this feature-length season 4 entry work as both a thrilling adventure and a satisfying Star Trek tale? And do these episodes invite even more holodeck logic nit-picking than usual? Hop on your metaphorical bicycle and join the trio for a lively debate-fueled ride from war-torn Saint Clair to Klingon camping grounds and beyond! Attend any convention and it's clear fans have preferred versions of their favorite Trek icons. You'll see a gaggle of bearded Riker clones, for example, but nary a single clean-shaven one. Why is that? And what do these various looks truly mean to the popular characters and their personal narrative? This week hosts Cam Smith and Tyler Orton attempt to decide between bobs or ponytails while examining the evolution and symbolic meaning of the personal styles of the franchise's biggest power players. 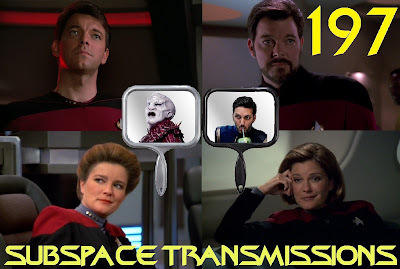 In addition to Number One's season 2 facial hair, the duo also ponder the changing hairstyles of Janeway, Worf and Kirk, Voq's seamless Ash Tyler makeover, Lorca's sweet leather jacket and more! Plus, in a bonus segment, the hosts weigh in on Alex Kurtzman's recent promotion to Trek TV mastermind and the potential of Captain Picard and Starfleet Academy spin-offs. Sure, the Klingons are Trek's numero uno alien antagonists as far as pop-culture is concerned. But what about the Romulans, who were originally envisioned as being TOS's primary big bads? This week hosts Cam Smith and Tyler Orton embrace ambiguity and stealthy, multi-layered tactics while charting the history of one of the franchise's most endlessly fascinating and sophisticated creations. From their unforgettable introduction in Balance of Terror, and many prominent TNG showcases, all the way down to J.J. Abrams' 2009 reboot, the residents of Romulus and Remus have seen considerable evolution and mythology expansion. So join the duo as they attempt to pin down the Federation's most notoriously slippery adversaries and imagine where Discovery and future incarnations may take them. Ever since the Trek-verse expanded beyond TOS fans have loved to argue and debate over which Starfleet personnel they would love to assemble in their own fantasy crew. Picard or Kirk for captain? Odo or Worf for security? Michael Burnham or Spock for XO or science officer? This week hosts Cam Smith and Tyler Orton, along with special guest Patrick Johnson, compete in a tense head-to-head competition to draft the most ideal, hyper-capable ship staff humanly possible. With several hot commodities, and a few amusing duds, on the table there's plenty of hilarity, hair-pulling and defensive attempts to justify oddball choices. So join the party and decide where you stand on the trio's very unique personal preferences.